It is hard to overstate the gravity of what happened in Turkey during the failed July 15 coup attempt. More than 270 people were killed and thousands wounded in clashes related to the attempted overthrow of the elected government. Tanks and armored vehicles rumbled through the streets of Istanbul and Ankara; soldiers fired into civilian crowds; and rogue F-16 jets and military helicopters bombed and strafed targets in Ankara, including the parliament, the intelligence ministry, and the presidential palace. This litany of atrocities is now familiar to those covering Turkey but should provoke no less soul-searching. There has been a troubling tendency in some Western quarters to respond glibly to Turkey’s trauma, but it is worth considering how the United States government and public would react in the wake of such a crisis. The outpouring of anger and emotion from Turks of all political backgrounds is natural. Without question, those behind the coup attempt must be brought to justice and face trial. As the coup attempt unfolded through the night of July 15, Turkish officials quickly pointed to Fethullah Gülen and his followers—generally referred to collectively as Gülenists or the Hizmet movement—as the driving force behind the overthrow plot. Gülen, an Islamic scholar and U.S. permanent resident, has been living in a compound in rural Pennsylvania since his self-imposed exile from Turkey in 1999, granting few interviews and rarely seeing outside visitors. Gülen’s movement has set up schools in hundreds of countries—including the United States—and established cultural exchange programs, business associations, and media outlets. The exact personal relationship of Gülen to many of these bodies and his degree of direct control over them is not clear. Gülen and Turkish President Recep Tayyip Erdoğan are former political allies, and members of the Gülen movement helped populate the state bureaucracy following the 2002 election victory of the ruling Justice and Development Party, or AKP. For a decade, the AKP and the Gülenists cooperated and, indeed, the movement was an integral part of the burgeoning AKP political, media, academic, and business establishment. The alliance helped both the AKP and the Gülen movement, allowing them to erode the control of traditional military and secular elites in Turkey; there is strong evidence that Gülenists in the police and judiciary collaborated with the AKP government to purge military officers and secular rivals in two massive—and manufactured—cases against supposed coup plotters in 2008 and 2010. But Gülenist prosecutors turned on the AKP in December 2013, opening major corruption cases against senior party leaders and their families. Gülenists are believed to have leaked—or, Erdoğan supporters say, manufactured—tapes implicating Erdoğan and his family in widespread corruption, possibly in a bid to swing upcoming elections. Erdoğan and the AKP decried the corruption cases as a coup attempt and declared open political war with the Gülen movement, seizing businesses and closing media outlets and schools associated with the movement. The Turkish demand for Gülen’s extradition, then, is not new and is part of a long-running political fight. But Turkish officials and the public are absolutely convinced of Gülen’s personal complicity in the coup attempt, and the request for his extradition is a primary element of Turkey’s response to the crisis. Despite the gravity of the wider issues surrounding the coup attempt for Turkish politics and society, this brief is primarily focused on the narrower question of Gülen’s potential extradition, the process by which such extraditions are pursued under the treaty between Turkey and the United States that governs extradition, and the political ramifications for U.S. policy and relations with Turkey. Immediately after the failed coup attempt, the Turkish government—with broad support from Turkish citizens across the political spectrum—launched a crackdown on those believed to have ties to the Gülen movement. Beginning with military and police officers suspected of direct involvement in the coup or of having ties to the plotters, the purge rapidly expanded to include tens of thousands of judges, prosecutors, civil servants, journalists, university rectors, diplomats, and businessmen. The Turkish government argues that the coup plotters were aided by a wide network of Gülen sympathizers who had over many years infiltrated key bodies in the country, making it necessary to root out Gülenist influence throughout the Turkish state and society. The Turkish government has dubbed this network the Fethullahist Terrorist Organization, or FETÖ, and named Gülen its leader, accusing the group of establishing a “parallel state” within the official state apparatus in Turkey and orchestrating the coup attempt. Several days after the coup attempt, the Turkish government presented to the U.S. government the first of several sets of documents cataloguing Gülen’s alleged crimes—though, it later emerged, not related to the coup attempt—and announced that Turkey was seeking his extradition for orchestrating the coup and other crimes associated with the so-called parallel state. As the crackdown has widened, political opponents of the government who seem to have little to do with the actual coup attempt have been arrested, detained, or dismissed, leading to international concern that the state response is spinning out of control and ensnaring innocent people. After supporting the initial response to the coup, Kemal Kılıçdaroğlu, the leader of the main opposition Republican People’s Party, or CHP, echoed these concerns, warning explicitly against a “witch hunt.” But, despite these reservations, there is widespread consensus among Turkish government officials, political leaders, and society at large that members of the Gülen movement were key players in the conspiracy to bring down the elected government and that anyone affiliated with the broader movement is therefore suspect. The United States has received hundreds of extradition requests under its treaties and for each one is required to comply with the relevant treaty and U.S. law, a point that appears to be getting lost in the tense atmosphere following the coup attempt. It is worth examining the details of the extradition process before turning to the specifics of the U.S.-Turkish treaty and the specifics of the Gülen case, along with its political ramifications. The handling of extradition requests is “a legal process, shielded from political pressures,” although experts say that “whenever governments are involved, policy and politics inevitably provide the background for the legal decisions.” Of course, the gravity of the crimes attributed to Gülen make this an especially sensitive case, and Turkey’s desire for quick resolution is understandable. But the Turkish government’s expectation that the extradition request will move forward in a matter of weeks fails to take into account the detailed requirements of the treaty and U.S. law or the legal process that must be followed. In the past, high-profile cases have always taken much longer to proceed. When an extradition request is received, it is first assessed by U.S. government lawyers to determine if it fulfills the requirements of the U.S.-Turkish extradition treaty. If accepted, it will trigger a process that includes the independent evaluation of the request in order to determine whether all of the legal requirements of the treaty are met. The United States, similar to other countries, decides all extradition requests on an individual basis, and the processing of all requests follows the same procedure—subject only to variations in the relevant bilateral treaty. The U.S. government will only extradite under the authority of bilateral treaties. Extradition is permitted only if, first, all of the treaty requirements are met and, second, none of the exceptions apply, as discussed below. Hence, the process can take time—in some cases, several years—though the timeline can vary widely based on factors such as the sufficiency of the evidence provided, the time the review takes in the U.S. executive branch and the courts, and the manner in which the person sought for extradition seeks to challenge the request. The U.S. Department of State performs the initial review of the foreign government’s extradition request to ensure that there is a treaty in force between the United States and the requesting country and that the crime or crimes identified in the request are offenses that are covered under the treaty. If the U.S. Department of State is satisfied that these preliminary conditions are met and there are no apparent problems with the request under the terms of the treaty, it will refer the request to the U.S. Department of Justice for further review to determine whether the information in the request is sufficient to present to a U.S. court. The Department of Justice works to ascertain whether the evidence “will establish probable cause to believe that a crime was committed and that the fugitive committed it.” Probable cause must rest on sufficient direct evidence, and reasonable circumstantial inference is unlikely to suffice. The Department of Justice also reviews requests for provisional arrest. Provisional arrest is appropriate when the requesting country believes the fugitive is a flight risk. The United States is committed under most treaties to respond quickly to such requests. If the Department of Justice determines the request meets the requirements of the relevant treaty and would satisfy the requirements of U.S. law underlying the issuance of an arrest warrant, it is “forwarded to the district in which the fugitive is believed to be located with instructions as to how to proceed. Justice advises prosecutors at all stages of the extradition proceeding. Prosecutors should not act on any request for extradition that comes from [any other] source.” Generally, a request will not reach this stage unless the evidence is considered adequate. The Department of Justice will not present a request to a court for arrest absent this full analysis. The assistant U.S. attorney assigned to the case seeks an arrest warrant. If the warrant is granted and the fugitive is located and detained, the accused will be brought before the magistrate judge or the district judge in the jurisdiction in question. The U.S. secretary of state decides whether to surrender the accused to the requesting government. At this point, following the judicial process and the receipt of a notice of extraditability, the secretary of state can consider issues such as whether there are concerns about humanitarian treatment of the person sought for extradition and the fairness of the proceedings in the country requesting extradition. Assurance from the requesting government of proper treatment might be sought by the State Department before the case is presented to the secretary of state. If the secretary of state approves extradition, the Department of State notifies the foreign government and arranges for the transfer of the fugitive. The United States and Turkey signed their “Treaty on Extradition and Mutual Assistance in Criminal Matters” in 1979 and ratified it in 1980 during the Carter administration, just months after a military coup in Turkey. The treaty was approved by the U.S. Senate—it is a formal treaty and not an executive agreement—and is a rare composite agreement that covers not only extradition but also establishes rules on mutual criminal assistance. The extradition provisions relevant to whether Gülen would be extradited are fairly typical of most U.S. extradition treaties: The treaty creates the relevant legal framework and makes individuals eligible for extradition if they have committed acts that are punishable under law by imprisonment of at least one year or more in both countries or who have committed any of the offenses specifically listed in the treaty, ranging from murder to illegal abortion to libel and forgery. This means that the criminal conduct that the Turkish government is accusing Gülen of must also qualify for criminal prosecution and imprisonment of at least one year under U.S. law in order to meet the requirements of the treaty. The treaty includes “attempted” crimes and “conspiracy” to commit certain crimes. These crimes of association in a criminal organization in Turkey—comparable to conspiracy in the United States—are specifically mentioned in the treaty, but the underlying conduct must establish a crime under the laws of both countries. Importantly, this does not mean that Gülen would need to be chargeable in the United States for the acts he is accused of in Turkey—it simply means that the charged offense must be a crime in both countries. The treaty requires that the Turkish government’s request provide adequate information for the U.S. government to determine that the case can proceed under U.S. law. The Turkish government’s accusations must be submitted in writing to the U.S. Department of State, including a record of any judgment previously rendered, a statement of the facts of the case, a warrant of arrest or detention order issued by a judge or other competent judicial officer in the requesting country, evidence that “would justify arrest and committal for trial,” and any other relevant evidence. In other words, the Turkish government needs to provide evidence of sufficient reliability that the U.S. Department of Justice could feel comfortable requesting an arrest warrant from a U.S. judge. (a) If the offense for which extradition is requested is regarded by the Requested Party to be of a political character or an offense connected with such an offense; or if the Requested Party concludes that the request for extradition has, in fact, been made to prosecute or punish the person sought for an offense of a political character or on account of his political opinions. This exception would be relevant only if U.S. authorities were to determine that the extradition request was for a political offense—meaning that it would fall in a category such as treason or sedition, as opposed to violations of other provisions of criminal law—or if the extradition were sought on account of the political opinions of the fugitive, as opposed to bona fide reasons related to criminal law. The White House has repeatedly pointed to this established extradition process in order to highlight—to the Turkish government and public—that there is a very specific legal process in the United States that applies to every extradition request. The decision is not in President Barack Obama’s hands, and the process might take longer than many Turks may want, given the gravity of the accusations against Gülen. At the end of July, the U.S. government said it was reviewing the documents provided by the Turkish government to determine whether they meet the criteria set out for a formal extradition request. Apparently, the files did not initially meet the requirements, as a delegation of U.S. officials from the State and Justice departments traveled to Ankara on August 23 and 24 to assist Turkish officials in preparing a formal request. During that visit, on August 23, the State Department announced that it had received a formal extradition request but that the charges contained in that request were not related to the July 15 coup attempt. The U.S. government delegation’s visit to Ankara was a step beyond what most extradition cases warrant, underlining the seriousness with which the United States is treating the matter. Turkish Foreign Minister Çavuşoğlu has also said he will travel to Washington with Justice Minister Bozdağ when the Gülen file relating to the coup—rather than the one presented already, which is unrelated to the coup—is completed to formally request Gülen’s extradition. As noted above, the U.S. government is conducting its initial review for sufficiency of the extradition request under the treaty and U.S. law. If a more complete file is presented at a later date, as the Turkish government has indicated will be the case, evaluation of any new evidence therein will also be necessary. This could take some time. The U.S. government lawyers may have questions and need more documentation before legal requirements are satisfied. If the evidence presented is not deemed sufficient to establish probable cause for an arrest warrant to be issued under U.S. law, then it is during these initial reviews that the extradition request is most likely to fail. 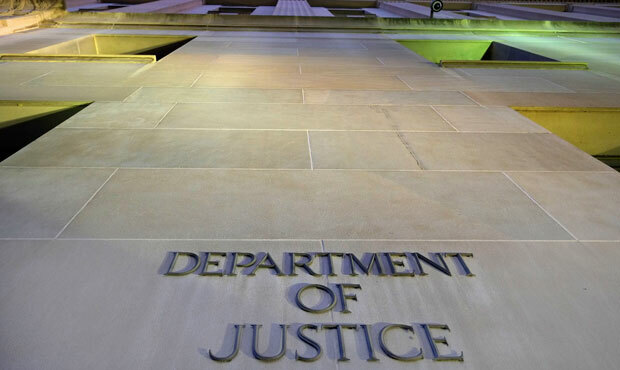 If the legal experts at the Department of Justice are satisfied that there is probable cause to believe an extraditable crime was committed by Gülen, they will assign the U.S. attorney in his area of residence—in this case, the Middle District of Pennsylvania—to seek an extradition warrant through a U.S. district judge in that federal district. The judge will review the request and decide whether to issue an arrest warrant. Assuming the district court approved the government’s request, Gülen would then be arrested, at which point all charges by the Turkish government would be known to his lawyers. He could seek his release on bail pending further proceedings, though, as mentioned above, the presumption in extradition cases is generally against bail. His legal counsel can—and almost certainly would—fight extradition, likely by challenging the sufficiency of the request under the treaty and U.S. law. Given the extensive judicial review previously conducted by the Department of State and the Department of Justice, an appeal often has little chance of success—the U.S. government will usually only bring the case this far if the evidence is deemed strong and reliable—but challenges by Gülen’s lawyers could further delay the process. Given what may be substantial financial and legal resources at his disposal, Gülen could potentially delay the extradition through court proceedings for an extended period. It is impossible to know how long that would be in this case, but in some cases, court delays can take months or years to resolve. Gülen’s lawyers are likely to argue that the prosecution is politically motivated and that Gülen will be unable to receive a fair trial if he is sent back to Turkey. In making this argument, the defense is likely to point to the aggressive lobbying by Turkish officials for Gülen’s extradition outside of the review for legal sufficiency, saying it is evidence that the trial is motivated by political rather than law enforcement concerns, which would complicate the review. The political campaign will not affect the legal procedures underway, as the Justice Department “puts its credibility on the line when it goes to court in Pennsylvania.” In essence, the campaign by Turkish officials and government media to secure Gülen’s extradition could be counterproductive to the Turkish government’s legal position and overall goal. Still, extradition experts agree that the primary factor will be the Justice Department’s decision—and, potentially, the district court judge’s subsequent ruling—on probable cause and that the political exception is unlikely to be a factor in Gülen’s case. It is not clear whether the expectation of a fair trial for Gülen in Turkey, or potential lack thereof, will factor into the U.S. government’s consideration, where experts will be undertaking a “very fact based, technical assessment.” Recently, some Turkish analysts have argued that the 1999 trial of Kurdistan Workers’ Party, or PKK, leader Abdullah Öcalan—which included international monitors—demonstrates the judiciary’s ability to provide a fair trial even in an atmosphere of extreme emotion and despite prejudgment by the public and the political leadership. But international monitors and human rights groups sharply criticized the Öcalan trial for falling short on a number of fronts, including limited access to counsel for the defendant. The more recent examples of the Ergenekon and Balyoz trials raise doubts: The two trials were politically convenient for the ruling party—allowing it to sideline secular rivals and reduce the military’s political influence—and Turkish prosecutors fabricated evidence, the courts accepted it, and it took years to reverse the false charges and free the wrongfully imprisoned defendants. Whatever these earlier cases suggest, it would be difficult for Gülen to get a fair trial in Turkey, given that he has already been convicted in countless statements by President Erdoğan—who exerts tremendous influence on the judiciary—as well as by other senior Turkish officials and by the media. While the horrific details of the July 15 coup attempt continue to come to light, the process of assigning attribution and criminal liability is difficult and murky. In a case such as the accusations against Gülen, a number of political factors come into play, clouding the more important legal ruling to be made, which will determine the outcome of the process. First, the Turkish government and most of Turkish society are convinced that Gülen orchestrated the coup attempt and will stop at nothing to bring him to justice. Despite that belief, it is unclear—based on the public record—what evidence the government has presented linking Gülen personally to the attempt. One must assume the Turkish government has more evidence than it has presented publicly, but this evidence will have to be included in the extradition request and meet the probable cause standard. Thus far, there are indications that Gülen’s supporters were instrumental in the coup attempt. Several coup supporters confessed to being members of the Gülen movement, although it is difficult to know how those confessions were achieved and whether they would be admissible in a U.S. court. Turkish General Staff Chief Hulusi Akar, who was kidnapped during the coup, said that his captors offered to put him directly in touch with Gülen. But circumstantial inference will not be sufficient nor will it be enough to prove that Gülenists were part of the coup—there will need to be a direct connection to Gülen himself showing that he was personally involved in the attempt. Turkish officials argue that the nature of the Gülenist conspiracy makes direct proof difficult to produce, but the U.S. Justice Department will require enough information to demonstrate probable cause in a U.S. court and thereby satisfy the higher evidential bar of the U.S. judicial process. Second, the United States will take its time and resist political pressure. Extradition experts say the process is “meant to be a legal and neutral process.” Given the visibility and extreme emotions surrounding the case, as well as the gravity of the accusations and the volume of evidence to be evaluated, it is likely to be a long procedure. At the end of the day, the secretary of state has the last word but will certainly follow the advice of the U.S. government’s legal experts on the merits of the case. Given the international ramifications of the case, including ongoing damage to U.S.-Turkish relations, one can expect the decision to be made as soon as the evidence can be assessed; the United States has no interest in delaying the process. Third, the claims against Gülen are not without wider political context, but that context should not matter to the extradition decision. Some in the West are skeptical of the thesis of Gülenist leadership of the coup attempt. The Turkish military has long been seen as a bastion of secularism and, until a decade ago, regularly expelled officers it considered too religious. Many Westerners find it hard to believe that hundreds of senior officers were willing to sacrifice everything for a religious movement or that devout Muslims disguised themselves as secularists for decades, rising through the ranks under the supervision of military leaders whose primary concern was to protect the army’s secular nature. This would be shocking if true, and few Turkish or foreign analysts had previously identified such extensive Gülenist penetration of the military. Blaming the coup on Gülen is also politically convenient for President Erdoğan, whose demands for Gülen’s extradition predate the coup attempt, stemming from the 2013 corruption cases and subsequent political rupture. Most U.S. and European analysts of Turkey believe the Gülenists may well have sought to bring Erdoğan down through corruption cases, that the charges were probably accurate, and that the president’s counterattack was meant to protect himself and his family from prosecution. Thus, blaming the coup on Gülen while it was still underway and without an investigation struck some observers as too politically convenient to be taken at face value. Of course, the political history could also be seen as providing a clear motive for supporters of Gülen to try to topple Erdoğan. In the context of the extradition request, however, this debate is academic: If solid evidence exists demonstrating that Gülen was personally involved in the coup attempt, the skepticism of some in the West will not be a factor in the extradition decision. The U.S. government has no interest in protecting Gülen if evidence links him to a crime; but, likewise, the charges against Gülen come in the context of open political warfare between his followers and the ruling party in Turkey, so due process is, as always, essential. Finally, the credibility of Turkish claims is indirectly undermined by the baseless accusations that the United States generally, or certain Americans specifically—the accusations have ranged from think tank scholars to retired U.S. generals—are somehow complicit in the coup attempt. The insinuation or outright assertion that the United States is behind the coup has been made by senior Turkish government officials and is ubiquitous in the pro-government press. None of those arguing this position have presented any evidence for their claims, and they seem to have no qualms about stirring up unfounded anti-American anger, which may, at some point, result in acts of violence against Americans in Turkey. These accusations cast a shadow over the entire bilateral relationship, including the extradition request. The attempted coup in Turkey was a tragedy, rightly and immediately condemned by all of the major Turkish political parties and the international community, including the United States. The outpouring of anger and emotion in its aftermath is entirely understandable and reasonable, as is the desire for justice and—even—revenge. The United States knows these feelings well from its own recent history, just as it knows how such waves of emotion can lead nations to abandon their values and make costly mistakes. The painstaking process of assigning guilt and delivering justice through due process can be frustratingly slow. This is particularly true in the case of complicated international extraditions, such as the one being pursued against Fethullah Gülen. The United States has a very specific legal process that governs extraditions, laid out in the bilateral treaty signed with Turkey. This process can take time and requires certain standards of evidence to establish probable cause. No amount of political or emotional pressure will change that reality—nor should it. The U.S. government is taking the Turkish extradition request very seriously, as it should, given the gravity of the charges leveled at Gülen. This seriousness was demonstrated by the unusual step of sending a delegation of State and Justice Department officials to Turkey to help liaise with Turkish officials concerning the formal extradition request, as well as by the attention paid to the issue on Vice President Joe Biden’s recent visit to Ankara. Legal experts will subsequently come to a judgment on the merits of the evidence. If the evidence shows probable cause to believe that Gülen has committed a crime and that he can receive a fair trial in Turkey, he will be extradited. If there is not sufficient evidence to conclude that he probably committed a crime, or the U.S. government concludes he cannot receive a fair trial, he will not be extradited. By publicly campaigning for Gülen’s immediate extradition—before a formal request had been submitted—Turkish officials reinforced the idea that the United States is somehow protecting Gülen or resisting the extradition process. That is not true. There will be critics of any eventual decision, just as there are critics of the delay in reaching a decision. Whatever the result, both governments should communicate the decision with consideration for the long-term relationship and should operate on the assumption that the other is acting in good faith. The U.S. government should continue to publicly express its solidarity with Turkey in the wake of the coup and continue to show how seriously it is taking the extradition request, as Vice President Biden did on his recent visit to Ankara. And the Turkish government should publicly and repeatedly condemn those who link the United States to the coup attempt and should help convey to its public the nature of the legal process governing extraditions. Michael Werz is a Senior Fellow at the Center for American Progress. Max Hoffman is an Associate Director for the National Security and International Policy team at the Center. The authors would like to thank a number of former U.S. government officials for the time they offered in meetings and vetting this issue brief. They are especially grateful to Samuel M. Witten, the former deputy legal adviser at the U.S. Department of State and now counsel at Arnold & Porter; Amy Jeffress, a former senior official with the U.S. Department of Justice, now a partner at Arnold & Porter; Harold Koh, Sterling professor of international law at Yale Law School; and others who wish to remain anonymous.